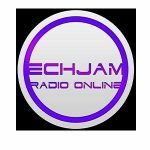 Echjam Radio live broadcasting from Ghana and this is a urban music related and at the same time its also a radio for the younger generation of listeners of the country. The radio loves to ensure their listeners the very best of the kind radio programs that will entertaining in a very pleasing way possible. Echjam Radio is one of the most famous online radio station on Ghana.